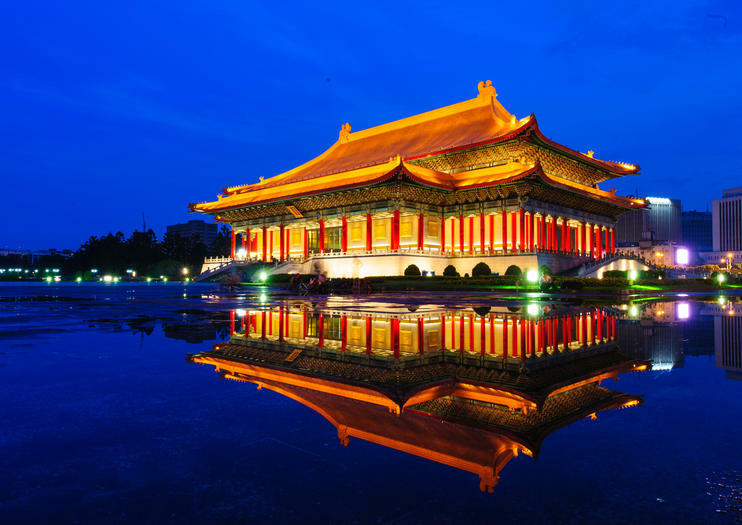 Established in 1987, the National Theater and Concert Hall in Taipei are two of the first major performance art venues to be established in Asia. Situated within Liberty Plaza, the building that houses the halls is a landmark in its own right; it’s built in a traditional Chinese architectural style, with a yellow tiled roof and imposing red pillars. The National Theatre and Concert Hall host large-scale concerts and cultural events, including dances, musicals, and operas, plus popular music events of both Chinese and western influences. The National Theater houses an Experimental Theater and the National Concert Hall is home to the Recital Hall, while shows can be performed simultaneously on the paved square outside. Both buildings house art galleries, libraries, shops, and restaurants and there are also guided tours available offering a more in-depth account of the performance art scene in Taipei. The National Theatre and Concert Hall are located within Liberty Plaza in the Zhongzheng District and the nearest MRT station is Chiang Kai-shek Memorial Hall Station (use exit 5). Guided tours run on Mondays at 1pm and 3pm, and on weekends at 11am and 1pm. Hours: Guided tours run on Monday at 1 and 3pm and on weekends at 11am and 1pm.